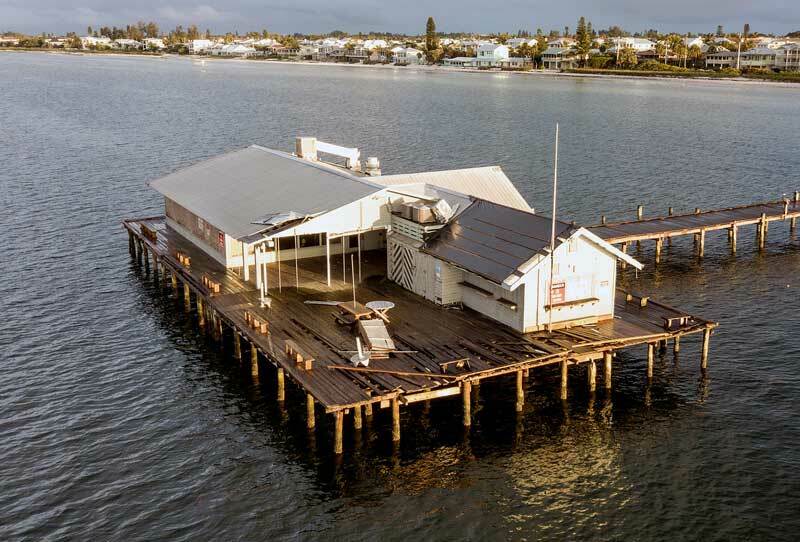 The price to demo the Anna Maria City Pier came in high. Too high. 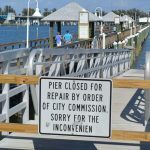 Anna Maria officials elected May 18 to reissue a request for proposals for demolition of the pier. During an emergency meeting, Mayor Dan Murphy asked commissioners to reject the submitted bids for the demolition contract and reissue a request for proposals, with a deadline of Friday, May 25. The first request for proposals was issued April 24 with a deadline of May 11 for permitting, demolition, cleanup, restoration, proper disposal and closeout of the demolition site. The RFP stipulated the project should be completed within 120 days, with a $500 penalty for every day beyond the deadline. The city received bids from Sully’s Quality Projects and UnderConstruction Contractors, both Venice-based firms, and Speeler & Associates, based in St. Petersburg. The grading chart Murphy developed for the RFP put Speeler as the No. 1 bid, followed by Sully’s and UnderConstruction. However, Murphy said the bids from Sully’s and Speeler were too high for the city budget. Sully’s bid was $780,730 and Speeler’s was $853,000. The bid from UnderConstruction came in significantly lower, at $289,000. The overall pier project — including construction — is estimated on the high end at $4.5 million. Murphy told commissioners that in constructing a budget for the demolition phase, he was advised the cost could range $300,000-$500,000. UnderConstruction is below the guestimate, but Murphy cautioned commissioners that UnderConstruction lacks experience for such a project. Two more companies sent bids, Murphy said, but they arrived late and were returned unopened. Seven contractors attended an April 27 conference for the RFP, Murphy said, but two local companies did not bid. Commissioners voted 4-1 to authorize Murphy to reissue the RFP with a revised grading scale that emphasizes project cost and minimizes the need for a local contractor. Commissioner Dale Woodland voted against the decision to reissue an RFP. He said he was opposed to the entire project and felt the city had insufficient dialogue with residents before pursuing construction of a new pier that could last for 100 years. Murphy said he would invite the five companies that sent bids to reapply, as well as any other interested companies. He also said the city would update the pier timeline to anticipate the demolition process by Aug. 30. The new pier — not including a restaurant, bait shop and facilities — is expected to be completed by December 2019. The engraved city pier planks will be removed in early June and distributed later in the month, weather permitting, to some 200 people who requested their planks before the city’s Jan. 26 deadline. Any remaining planks will be used to construct memorial fences in City Pier Park, at the corner of Pine Avenue and North Bay Boulevard, and at the Anna Maria Island Historical Museum, 402 Pine Ave.